In followup to my earlier article. on July 1, 2013 at Pima County’s Consolidated Justice Court, hearing officer Chris Holguin dismissed the single charge of “stopping unnecessarily in the highway” levied against me by Pima County Sheriff Deputy Thomas Audetat after he decided he needed to be someplace else other than the hearing he was responsible for creating in the first place. Several days after receiving my Motion To Dismiss, Deputy Audetat filed a Motion for Continuance with the court just one work day before the hearing date. Whether or not there’s a correlation between Deputy Audetat’s continuance motion along with his failure to appear in court and my motion for dismissal remains to be seen. During the hearing, Hearing Officer Holguin gave Deputy Audetat ten minutes to show up. 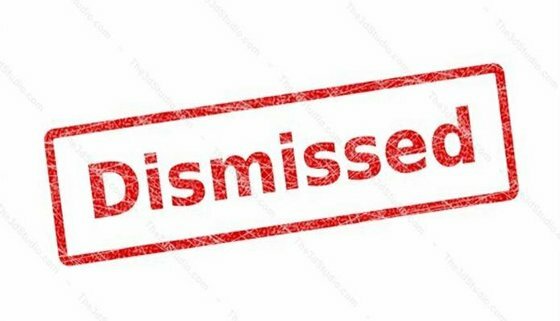 When he failed to do so, he denied his request for a continuance due to the fact it was not timely filed and then dismissed the charge against me. This dismissal marks the fourth time the State of Arizona has brought charges against me for daring to exercise my rights while being seized at internal checkpoints setup along Arizona highways and the third time those charges have been dismissed in court. In the fourth case, I was found not guilty within five minutes of the start of the hearing & after the police officer gave testimony. It was so obvious the charge was bogus, the judge didn’t even give me time to rebut the officer’s testimony before dismissing the charge. What’s interesting to note here is that the State of Arizona was not responsible for setting up or operating any of the checkpoints where a state agent later cited me. Rather, the checkpoints were setup by tribal and federal authorities. Tribal and federal authorities that then used the State of Arizona as their proxy for harassing me through bogus citations for peacefully & lawfully exercising my rights while being seized at those checkpoints. In other words, Checkpoint USA 5, State of Arizona 0. I’ll be posting a lot more about this most recent case, including video and the results of several FOIA and public records requests I’ve bee following up on. Indeed, my own discovery process has revealed that Pima County Sheriff’s Deputy Audetat was on special assignment with the Border Patrol & being paid overtime funds through an Operation Stonegarden grant in order to be on call to assist Border Patrol agents with harassing domestic traffic at the Border Patrol checkpoint I was cited at. I did however want to provide some commentary regarding what happened in court on July 1st sooner rather than later. Given this history it should be clear that it’s dangerous to travel along Arizona highways while being cognizant of your rights. Something Checkpoint USA is working diligently to change.